Video: THE FOX HUNT by Mohammed Al Samawi. Video: Morning Joe: 'Fox Hunt' Writer Details His Daring Escape from Yemen. Video: Megyn Kelly TODAY: Man reunites with interfaith group who saved his life. Video: WNYC: The Brian Lehrer Show: A Refugee's Journey to America. 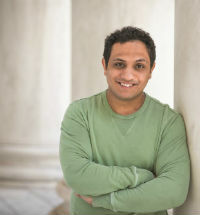 Mohammed AL Samawi was born in Sana’a, Yemen and grew up as a practicing Muslim. 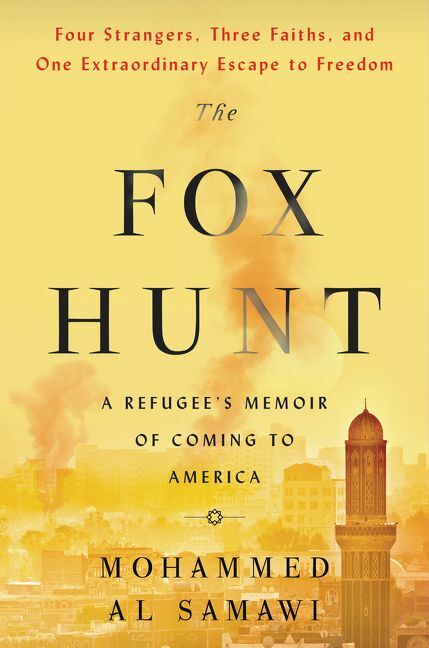 His memoir, The Fox Hunt: A Refugee's Memoir of Coming to America (William Morrow), shares the moving story of love, war, and hope in which he recounts his harrowing personal transformation from a traditionalist to an interfaith activist, and how he escaped the brutal civil war in Yemen with the help of a daring plan engineered on social media by a small group of Facebook friends in the West. Over thirteen days, four ordinary young people with zero experience in international diplomacy or military exfiltration worked across six technology platforms and ten time zones to save this innocent young man trapped between deadly forces—rebel fighters supported by Iran and AL Qaeda operatives supported by Saudi Arabia. The story of an improbable escape as riveting as the best page-turning thrillers, The Fox Hunt is also an unforgettable story of compassion, friendship, faith and redemption. Like I Am Malala, A Long Walk Gone, and The Dressmaker of Khair Khana, it sheds light on events roiling the world, and offers hope and inspiration, reminding us that goodness and decency can triumph in the darkest circumstances. Sharing his powerful story across the globe, AL Samawi has addressed audiences from religious organizations to schools and universities to humanitarian and global groups. Back in Yemen, AL Samawi worked for several NGOs, including Oxfam and World Releif; he also worked as a freelance researcher for Boehncke Information Technology GmbH for more than two years. In those capacities, he authored more than 30 studies and reports about Yemen, and reported extensively on Sudan, including Darfur. Most recently he served as the Regional Coordinator for the Middle East and North Africa (MENA) Region at the International Center for Religion & Diplomacy, where he provided a wide range of support for community engagement and research programs in Yemen and Pakistan, including evaluating and communicating with local partners and undertaking translations. Currently he resides in Miami, Florida. "Students were mesmerized and inspired by Mohammed’s story of escaping Al Qaeda and fleeing Yemen. Through his story, we learned about the history of Yemen, the complexity of interfaith issues, and the ongoing refugee crisis in the Middle East. Our series regularly features icons and changemakers in business, the arts, sports, and philanthropy. Mohammed is among the most compelling speakers we’ve hosted and the students loved him." “Despite my 25-plus years in international affairs, including substantial work on issues confronting the Middle East and North Africa, I have learned life-changing lessons from Mohamed Alsamawi. Mohamed Alsamawi can speak in concrete terms of both the best hopes and the worst inhumanities that plague the region and the roles -- both positive and negative -- of governments, civil society and of individuals who have the courage to question and learn. His deep humanity, generosity and ready humor will open eyes everywhere to what his own life reflects -- intolerance and fear of “others” debases and endangers us all, whereas recognizing and strengthening individual and community bonds across all borders (physical, cultural, social, ethnic and religious) makes life far better and more productive. Not only is it possible to radically change perspectives, but it is possible to develop trust and adopt inclusive, creative approaches that help solve the world’s most challenging problems.